During my life I have learned to design clothes, make clothes, model clothes, sell clothes, and write about them in 2 books – THE SENSUAL DRESSER and DRESS TO IMPRESS. I have done wardrobe consultations and I have gone shopping with many women, and found out that women do know what they look good in and what they like, they just need a little reasssurance from time to time. This is the reason I have started this Blog. I want to use my experience to help women feel more secure about their choices, and to answer any questions they may have. To reach me please look at our “Contact Us” information. Hi, Brigitte! Thanks for stopping by my blog and liking my post on super-aging seniors retaining their memory. I am enjoying my visit to your little corner of the blogosphere. Thank you for following my small blog on the small Switzerland! Thank you! I will have a look at your Egyptian site. I think nowadays it is for sure much safer than the real country! page, it contains valuable Information. so I wanted to get advice ffrom someone with experience. Very nice style and design and wonderful subject material , practically nothing else we need : D.
Remarkable! Its genuinely amazing piece of writing, I have got much clear idea about from this piece of writing. Wow, superb blog layout! How long have you been running a blog for? you make running a blog look easy. The overall look of your web site is magnificent, as well as the content! great points altogether, you just gained a new reader. What could you suggest about your post that you made some days in the past? Any positive? Really nice post here. I don’t agree with everything youve said but I do understand where your coming from. Hi! I could have sworn I’ve visited this blog before but after looking at some of the posts I realized it’s new to me. Anyhow, I’m certainly delighted I came across it and I’ll be book-marking it and checking back regularly! I am so grateful for your blog article.Thanks Again. I’m still learning from you, while I’m improving myself. I definitely love reading everything that is written on your site.Keep the stories coming. I loved it! Really good site thank you so much for your time in writing the posts for all of us to learn about. Incredibly nice publish. I just stumbled upon your weblog and wanted to say that We have seriously enjoyed surfing all-around your website posts. In any circumstance I’ll be subscribing on your rss feed And that I hope you jot down all over again quickly! I was very happy to find this internet-site.I wished to thanks for your time for this wonderful read!! I undoubtedly enjoying each little little bit of it and I have you bookmarked to check out new stuff you weblog post. whoah this weblog is excellent i really like studying your posts. Keep up the great work! You understand, a lot of individuals are looking around for this information, you could help them greatly. Wonderful post however , I was wondering if you could write a litte more on this subject? I’d be very grateful if you could elaborate a little bit further. Cheers! Excellent post. I will be going through a few of these issues as well.. I love it when people get together and share opinions. Great blog, stick with it! I’m still learning from you, but I’m trying to reach my goals. I absolutely enjoy reading everything that is written on your blog.Keep the aarticles coming. I liked it! I have been surfing online more than three hours these days, but I never found any fascinating article like yours. It¡¦s pretty value sufficient for me. Personally, if all web owners and bloggers made excellent content material as you probably did, the net might be a lot more helpful than ever before. I think other web-site proprietors should take this web site as an model, very clean and wonderful user genial style and design, as well as the content. You’re an expert in this topic! Very well written information. It will be helpful to anybody who utilizes it, as well as myself. Keep doing what you are doing – for sure i will check out more posts. I am extremely impressed with your writing skills and also with the layout on your blog. Is this a paid theme or did you modify it yourself? Either way keep up the nice quality writing, it’s rare to see a great blog like this one today..
Hello, I have thought about buying the software program DubTurbo Beatmaker and was hoping someone could give me an actual honest overview of the program. Almost all the internet websites that feature opinions at the moment are affiliate marketers endorsing the computer software so that i don’t believe that the opinions are valid. Cheers in advance for all the information any person can offer. I have found your website About | Brigitte Nioche& to be most interesting. Thanks for an easy-to-read and entertaining article. I’ll be sure to forward your link to a Internet friend as well. She’s sure to love it! Hello there, I discovered your website via Google even as searching for a comparable topic, your web site came up, it appears good. I have bookmarked it in my google bookmarks. Appreciating the dedication you put into your website and detailed information you offer. It’s good to come across a blog every once in a while that isn’t the same old rehashed information. Excellent read! I’ve bookmarked your site and I’m including your RSS feeds to my Google account. Hi there! Someone in my Facebook group shared this site with us so I came to look it over. I’m definitely enjoying the information. I’m bookmarking and will be tweeting this to my followers! Wonderful blog and superb style and design. I just stumbled across your site while looking for something in google blogsearch… Never visited the site before, but you’re got some great stuff and I’m going to go ahead and add the rss to my reader. Look forward to more posts like this one. I have learn several excellent stuff here. Definitely price bookmarking for revisiting. I wonder how so much effort you put to create such a great informative web site. Really good information can be found on website . Surprisingly revealing many many thanks, I do think your readers may well want further blog posts such as this carry on the good work. Hello, thanks for that it kept me glued to the screen please put up more like this, also when will there be more post? will follow on fb/twitter. Thanks so much! Excellent career about this post! We really like the way you introduced the information and how you have made them intriguing and easy to be aware of. Thanks. I view something truly interesting about your web blog so I saved to fav. Absolutely love the article you’ve given the internet. I have added your blog to my favorites. Looking forward to your upcoming blog. WebWatcher Reviews if u want to check out my blog. Helpful information provided I am really pleased to go through this particular article..many thanks for giving us great info.Great walk-through. I truly appreciate this kind of blog post. A word of admiration for the journalist.The skill of accomplishing writing is great. I have to enjoy publisher’s understanding of the topic. This is not onlly one of your news I’ve read, and you simply never stop to amaze me. Warm regards, and i also look forward to discovering more. I delight in the data on your internet site. Many thanks. Hello there! This post could not be written much better! Reading through this post reminds me of my previous roommate! He constantly kept talking about this. I most certainly will send this post to him. Pretty sure he will have a very good read. Thanks for sharing! I’m really enjoying the design and layout of your site. It’s a very easy on the eyes which makes it much more enjoyable for me to come here and visit more often. Did you hire out a designer to create your theme? Great work! I like this web site very much so much fantastic information. “The need to write comes from the need to make sense of one’s life and discover one’s usefulness.” by John Cheever. I like this text. Best read inside a long time. Hopefully you will continue write such as this! Keep up the fantastic piece of work, I read few posts on this site and I believe that your web site is rattling interesting and contains sets of great information. I like this blog very much so much good information. I am pleased that I observed this site , just the right info that I was searching for! . Hi there, of course this piece of writing is truly fastidious and I have learned lot of things from it on the topic of blogging. You have a lot of useful pointers on this site. This is a well written article that I have bookmarked for future reading. Have a fun. It is articles like these that makes me visit your blog over and over. I usually know that I can find someting readworthy while i click around. Thumbs up! I am really impressed with your writing skills as well as with the layout on your weblog. Is this a paid theme or did you modify it yourself? Anyway keep up the nice quality writing, it is rare to see a great blog like this one today..
Major thanks for the website short article.Significantly thanks again. Interesting. Hi there, You have done an incredible job. I’ll definitely digg it and personally recommend to my friends. I am sure they will be benefited from this site. I really like this text. Best read inside a long time. Hopefully you will continue write such as this! This is not the first of your reports I’ve learn, and you never cease to impress me. Warm regards, and I look ahead to studying in future. Really good stuff and I also mostly agree, will certainly highly recommend this to my friends. Many thanks for posting. Some really nice stuff on this web site , I enjoy it. Thanks for another informative site. The place else may I get that type of info written in such an ideal method? I’ve a venture that I’m just now working on, and I’ve been on the look out for such information. You are so interesting! I don’t think I’ve read anything like that before. So good to discover somebody with some unique thoughts on this topic. Seriously.. thank you for starting this up. This web site is one thing that is required on the web, someone with a bit of originality! Greetings! Very useful advice in this particular post! It is the little changes that will make the most important changes. Thanks a lot for sharing! some really nice and utilitarian information on this website , besides I think the layout holds great features. Thanks for the information I enjoy following your blog. Wow, awesome weblog layout! How long have you been blogging for? you made running a blog glance easy. The total glance of your web site is fantastic, let alone the content! Excellent article, I’ve learned a lot from this. Hi, just wanted to tell you, I enjoyed this blog post. It was funny. Keep on posting! I gave you a link back on one of my pr4 pages, I hope this is ok. This is a extremely valuable article. Do you mind if i translate it into German for my own subscribers? Just desire to say your article is as astonishing. The clearness in your post is just spectacular and i could assume you are an expert on this subject. Fine with your permission let me to grab your feed to keep up to date with forthcoming post. Thanks a million and please continue the gratifying work. Very excellent visual appeal on this internet site , I’d rate it 10 10. Hello very cool website!! Man .. Excellent .. Superb .. I will bookmark your website and take the feeds also…I’m happy to find a lot of useful info right here within the put up, we need work out extra strategies on this regard, thanks for sharing. Excellent post. I was checking continuously this blog and I’m impressed! Very helpful info particularly the last part 🙂 I care for such info much. I was seeking this particular information for a long time. Thank you and good luck. Woah! I’m really digging the template/theme of this blog. It’s simple, yet effective. A lot of times it’s hard to get that “perfect balance” between superb usability and visual appearance. I must say that you’ve done a excellent job with this. Also, the blog loads super fast for me on Chrome. Outstanding Blog! I went over this website and I believe you have a lot of superb information, saved to bookmarks (:. You need to take part in a contest for one of the highest quality websites on the web. I am going to highly recommend this blog! I got what you mean , thanks for posting . Perfect piece of work you have done, this web site is really cool with good information. Hello, you used to write fantastic articles, but the last few posts have been kinda boring… I miss your super writing. Past several posts are just a little out of track! After research a few of the blog posts on your website now, and I actually like your method of blogging. I bookmarked it to my bookmark web site record and will be checking again soon. Pls check out my website as properly and let me know what you think. I have been gone for some time, but now I remember why I used to love this blog. Thanks, I’ll try and check back more often. How frequently do you update your blog? Thank you, I’ve been looking for info about this topic for ages and yours is the best I’ve located so far. Fantastic site you have here but I was wondering if you knew of any message boards that cover the same topics discussed here? I’d really love to be a part of community where I can get responses from other experienced individuals that share the same interest. If you have any suggestions, please let me know. Appreciate it! I really like the look of your website. I lately built mine and I was looking for some style concepts and you gave me a couple of. May possibly I ask you whether you developed the site by youself? Woah! I’m really loving the template/theme of this website. It’s simple, yet effective. A lot of times it’s very difficult to get that “perfect balance” between superb usability and visual appearance. I must say you have done a great job with this. In addition, the blog loads super quick for me on Chrome. Superb Blog! I love reading a post that can make people think. Also, many thanks for permitting me to comment! I visited a lot of website but I think this one contains something extra in it. I am sorry to hear that – the only thing I can tell you is that you have to have a back-up system in place. Located your post very appealing in fact. I actually liked reading through it and also you make really some superior details. I am going to bookmark this web-site for the upcoming! Relly good post. I just added this site to my feed reader, excellent stuff. Can not get enough! Hello! I’ve been reading your site for some time now and finally got the courage to go ahead and give you a shout out from Humble Texas! Just wanted to say keep up the good work! You are my inhalation, I own few web logs and very sporadically run out from post :). “Actions lie louder than words.” by Carolyn Wells. What a good post! Thank you and keep up the great work! I was very happy to search out this internet-site.I wished to thanks on your time for this excellent learn!! I positively enjoying every little bit of it and I’ve you bookmarked to take a look at new stuff you blog post. Woah! I’m really enjoying the template/theme of this site. It’s simple, yet effective. A lot of times it’s very hard to get that “perfect balance” between user friendliness and visual appearance. I must say you’ve done a excellent job with this. Also, the blog loads very fast for me on Safari. Superb Blog! Some really good blog posts on this website, regards for contribution. “My salad days, When I was green in judgment.” by William Shakespeare. Observed your post incredibly appealing without a doubt. I definitely really enjoyed examining it and also you make very some good points. I’ll bookmark this website for your long term! Relly great article. Discovered your write-up pretty interesting indeed. I seriously really enjoyed examining it and you also make rather some excellent details. I will bookmark this site for your future! Relly great short article. I am not real good with English but I find this real easy to understand. Love the design of this website, could you please email were I can get the template. I truly enjoy looking through on this website , it contains wonderful posts . “Words are, of course, the most powerful drug used by mankind.” by Rudyard Kipling. Identified your short article incredibly interesting without a doubt. I definitely loved looking at it and you make quite some fantastic details. I am going to bookmark this web page for your upcoming! Relly fantastic post. Observed your write-up quite intriguing in truth. I genuinely loved browsing it and you also make quite some good points. I’ll bookmark this web-site to the upcoming! Relly great write-up. Found your short article extremely remarkable in fact. I really loved looking at it and you make fairly some very good points. I am going to bookmark this website for that potential! Relly excellent report. Located your short article really appealing in fact. I actually enjoyed browsing it therefore you make pretty some very good details. I’ll bookmark this web site for that long term! Relly good short article. Howdy! I’m at work browsing your blog from my new iphone 4! Just wanted to say I love reading through your blog and look forward to all your posts! Keep up the outstanding work! Found your short article incredibly interesting in truth. I really liked reading through it so you make pretty some fantastic factors. I am going to bookmark this web-site for that foreseeable future! Relly wonderful short article. This will be a fantastic blog, might you be interested in doing an interview about how you created it? If so e-mail me! Uncovered your short article quite interesting indeed. I truly loved reading through it and you simply make fairly some good details. I will bookmark this web-site for the potential! Relly good report. I visited a lot of website but I believe this one contains something extra in it. “We are most nearly ourselves when we achieve the seriousness of the child at play.” by Heraclitus. Perfectly written content material, Really enjoyed studying. I used to be very pleased to seek out this web-site.I wished to thanks in your time for this glorious read!! I undoubtedly enjoying every little little bit of it and I’ve you bookmarked to take a look at new stuff you weblog post. You made some fine points there. I did a search on the issue and found a good number of persons will agree with your blog. Some really quality blog posts on this website , saved to my bookmarks . I’d have to check with you here. Which isn’t one thing I normally do! I enjoy reading a put up that may make individuals think. Additionally, thanks for allowing me to comment! Do you mind if I quote a couple of your posts as long as I provide credit and sources back to your website? My blog is in the very same niche as yours and my visitors would certainly benefit from some of the information you present here. Please let me know if this alright with you. Cheers! I feel this is one of the so much vital information for me. And i’m happy studying your article. However wanna statement on some general things, The site style is perfect, the articles is truly nice :D. Just right activity, cheers. Hey! I just wish to give an enormous thumbs up for the good data you’ve got right here on this post. I might be coming back to your blog for more soon. I used to be more than happy to find this internet-site.I wished to thanks on your time for this wonderful learn!! I positively enjoying every little bit of it and I have you bookmarked to take a look at new stuff you weblog post. Very interesting info !Perfect just what I was searching for! “All the really good ideas I ever had came to me while I was milking a cow.” by Grant Wood. Thank you for sharing excellent informations. Your web site is so cool. I am impressed by the details that you’ve on this website. It reveals how nicely you understand this subject. Bookmarked this web page, will come back for extra articles. You, my pal, ROCK! I found just the info I already searched everywhere and simply could not come across. What a great site. I like the helpful information you provide in your articles. I will bookmark your weblog and check again here frequently. I am quite certain I’ll learn many new stuff right here! Good luck for the next! I was studying some of your posts on this website and I think this website is rattling informative ! Continue posting . I have been exploring for a little for any high quality articles or blog posts on this sort of area . Exploring in Yahoo I at last stumbled upon this site. Reading this info So i’m happy to convey that I have an incredibly good uncanny feeling I discovered exactly what I needed. I most certainly will make sure to do not forget this web site and give it a glance on a constant basis. Thanks for all your efforts that you have put in this. Very interesting info. “When we cannot hope to win, it is an advantage to yield.” by Quintilian. You are my inhalation, I have few web logs and often run out from post :). “‘Tis the most tender part of love, each other to forgive.” by John Sheffield. Very interesting topic , appreciate it for posting . “All human beings should try to learn before they die what they are running from, and to, and why.” by James Thurber. Interesting post. I very much like your blog. I like your writing style really enjoying this website. “To him who is in fear everything rustles.” by Sophocles. Thanks for another magnificent post. Where else could anybody get that kind of information in such an ideal way of writing? I have a presentation next week, and I’m on the look for such information. I liked reading this blog. Very interesting and informative. Fun post. I very much enjoy your blog. “About | Brigitte Nioche’s Blog” ended up being a incredibly wonderful article, . Some really good blog posts on this web site , thanks for contribution. some really quality articles on this website , saved to fav. Good blog! I really love how it is simple on my eyes and the data are well written. I’m wondering how I could be notified when a new post has been made. I’ve subscribed to your feed which must do the trick! Have a great day! “If you are going to do something wrong at least enjoy it.” by Leo C. Rosten. I genuinely enjoy examining on this site, it has good articles . “Dream no small dreams. They have no power to stir the souls of men.” by Victor Hugo. Hi, just wanted to tell you, I liked this article. It was helpful. Keep on posting! Hello – thank you for reading my blog and contacting me. By the way I have started a new blog http://www.Egypt-mylove.com after a trip I made last month. Do you have a Blog or site? Please let me know if you do. I went over this website and I think you have a lot of great information, saved to bookmarks (:. I view something truly interesting about your web blog so I saved to my bookmarks . I’d must test with you here. Which is not one thing I normally do! I get pleasure from reading a put up that can make folks think. Also, thanks for permitting me to comment! ï»¿Everything posted made a great deal of sense. However, consider this, suppose you added a little information? I am not saying your content isn’t solid., however suppose you added something that makes people want more? I mean About | Brigitte Nioche's Blog is a little plain. You should glance at Yahoo’s home page and watch how they write news headlines to grab people interested. You might add a video or a related pic or two to grab readers excited about everything’ve written. Just my opinion, it could make your posts a little bit more interesting. Awesome blog! Do you have any tips and hints for aspiring writers? I’m planning to start my own blog soon but I’m a little lost on everything. Would you suggest starting with a free platform like WordPress or go for a paid option? There are so many options out there that I’m completely overwhelmed .. Any ideas? Thanks! I am no longer positive the place you are getting your info, however great topic. I must spend some time finding out much more or figuring out more. Thank you for wonderful information I used to be in search of this info for my mission. Please let me know if you’re looking for a writer for your blog. You have some really great articles and I feel I would be a good asset. If you ever want to take some of the load off, I’d love to write some content for your blog in exchange for a link back to mine. Please shoot me an email if interested. Thank you! I see something truly interesting about your weblog so I saved to favorites . There’s been a lot of todo’s in my iteranary every day, but I really make it a point to return here and browse a few of your records. Interesting and recommended, you’re among the greatest you can find. hi!,I like your writing so so much! percentage we keep up a correspondence extra about your article on AOL? I require an expert on this house to unravel my problem. Maybe that’s you! Looking forward to see you. Hello, just wanted to mention, I loved this article. It was helpful. Keep on posting! Normally I don’t read post on blogs, but I wish to say that this write-up very pressured me to try and do so! Your writing style has been amazed me. Thank you, very nice article. Many thanks for an incredible publish, would read your others content. many thanks for your thoughts on this, I felt a lttle bit struck by this article. Thanks again! You earn an excellent moment. Displays the beauty through wonderful info here. I believe if a greater number consideration for it that way, they’d have a better time period obtain the suspend ofing the matter. Youre so cool! I dont suppose Ive learn anything like this before. So nice to find anyone with some authentic thoughts on this subject. realy thank you for beginning this up. this website is something that is wanted on the net, someone with somewhat originality. helpful job for bringing one thing new to the internet! I am really impressed along with your writing skills as neatly as with the format to your blog. Is that this a paid subject or did you modify it yourself? Either way stay up the excellent quality writing, it’s rare to peer a nice weblog like this one these days.. Many thanks for an amazing publish, may read your particular others posts. thank you your thinking on this, I soon became a lttle bit made an impact to by this article. Thanks again! You earn a good time. Has wonderful data here. I believe if more people thought of it doing this, they’d possess a better time period receive the hold ofing the matter. Thanks for an unbelievable publish, would examine your others reviews. many thanks for your ideas within this, I felt somewhat thump by this post. Many thanks again! You make a great moment. Has wonderful facts here. I feel that if more individuals consideration for it like this, they’d have got a better moment in time get the hold ofing the situation. Great post. I’m a regular visitor of your blog and appreciate you taking the time to maintain the nice site. I will be a frequent visitor for a long time. Hey There. I discovered your webpage searching with yahoo. This really is an extremely clearly composed piece of writing. I will be sure to bookmark it and return to look at extra of your respective advantageous information. Thank you for sharing it. I will positively be back again again. im not usualy a bllog poster but u have inticed me to participaate, well done on your site!! Hiya. Very nice website!! Guy .. Beautiful .. Amazing .. I will bookmark your website and take the feeds additionally…I’m glad to locate a lot of useful information right here in the article. Thanks for sharing.. I appreciate a tremendous publish, can study your personal others content. thanks for your thinking for this, I really felt a lttle bit thump by this article. Thanks again again! You commit a good time. Portrays natures best by the fantastic facts here. I feel that when more individuals considered it that way, they’d possess a better time frame receive the suspend ofing the difficulty. I just want to mention I am just all new to weblog and really savored you’re web-site. More than likely I’m going to bookmark your blog . You amazingly come with impressive articles and reviews. Kudos for sharing your webpage. Thank you an amazing post, can read your particular others content. thanks for your thoughts within this, I felt a bit struck by this text. Many thanks again! You wanna make a good point. Has wonderful data here. I believe that in case a greater number thought about it like that, they’d possess a better time obtain the hang ofing the situation. Thank you a tremendous put up, would see your personal others posts. i appreciate your ideas with this, I soon became a lttle bit strike by this article. Merit again! You earn a great moment. Has wonderful data here. I think that in case more people considered it like this, they’d have got a better time frame have the suspend ofing the issue. Thank you an incredible publish, may examine your personal others content. thank you your notions within this, I soon became somewhat made an impact to by this article. Thanks again again! You earn a good aspect. Portrays natures best by the wonderful facts here. I believe that if a greater number of people thought about it like that, they’d have a very better time get the grasp ofing the matter. Thanks for a tremendous submit, will study your personal others content. thank you your thoughts on this, I soon became somewhat struck by this short article. Thanks again! You commit a terrific moment. Has excellent data here. I feel if a greater number of people thought about it like this, they’d have a very better time frame have the suspend ofing the issue. I was recommended this blog via my cousin. I’m no longer positive whether this publish is written via him as no one else realize such specified about my trouble. You are wonderful! Thanks! Thanks for an amazing publish, can examine your particular others content. thank you your ideas for this, I felt a bit made an impact to by this short article. Merit again! You wanna make a good time. Has great report here. I believe that in case a greater number of people thought about it like that, they’d have a very better time frame receive the grasp ofing the issue. I’m impressed, I have to admit. Truly rarely will i encounter a weblog that’s both educative and entertaining, and let me let you know, you’ve got hit the nail within the head. Your thought is outstanding; the difficulty is an element that not enough every person is speaking intelligently about. My business is extremely happy i always stumbled across this at my uncover some thing about it. Thank you a tremendous post, would see your particular others content. many thanks for your notions with this, I felt a trifle made an impact to by this post. Thanks again again! You commit a good point. Got some fantastic data here. I believe that when more people considered it like that, they’d have a better time period receive the hang ofing the issue. Can I just say what a relief to find someone who actually knows what they are talking about on the internet. You definitely know how to bring an issue to light and make it important. More people need to read this and understand this side of the story. I cant believe youre not more popular because you definitely have the gift. I simply want to tell you that I am just newbie to blogs and really liked you’re web page. More than likely I’m want to bookmark your website . You definitely come with exceptional well written articles. Regards for revealing your web-site. Very nice post. I simply stumbled upon your blog and wanted to mention that I have truly loved surfing around your weblog posts. After all I will be subscribing to your rss feed and I am hoping you write again very soon! Needed to post you one little observation so as to say thanks a lot yet again for the pleasing concepts you’ve shared on this page. It was certainly seriously generous of you to provide freely precisely what a number of people could possibly have distributed as an e-book to end up making some money for themselves, especially given that you might have done it if you ever decided. Those concepts likewise acted like the great way to recognize that some people have a similar interest much like my very own to see whole lot more on the subject of this issue. I’m sure there are some more pleasurable moments ahead for many who check out your blog. A formidable share, I just given this onto a colleague who was doing a little analysis on this. And he in fact bought me breakfast as a result of I found it for him.. smile. So let me reword that: Thnx for the treat! But yeah Thnkx for spending the time to debate this, I really feel strongly about it and love reading extra on this topic. If doable, as you grow to be experience, would you thoughts updating your blog with extra particulars? It is highly helpful for me. Huge thumb up for this blog put up! Fantastic publish, very informative. I wonder why the opposite experts of this sector don’t realize this. You must proceed your writing. I am sure, you have a huge readers’ base already!|What’s Taking place i’m new to this, I stumbled upon this I have discovered It absolutely helpful and it has helped me out loads. I am hoping to give a contribution and help different customers like its helped me. Great job. fantastic post, really informative. I wonder why the other specialists of this sector do not notice this. You must continue your writing. I am confident, you’ve got a great readers’ base already! Aw, this was a truly great share. In idea I would like to put in writing similar to this additionally – taking time and actual energy to generate a really good article… but what can I say… I procrastinate alot and by no means seem to get something done. Great article! I loved the insight and advice given. In addition, your article writing style is very fun to read. If you have time please explore my brand new blog and tell me what you think. With having so much content do you ever encounter any problems associated with copyright laws infringement? My personal weblog provides extensive exclusive content We have either published myself or perhaps offsite nonetheless it appears like a lot of it is actually popping it down all over the net without my own endorsement. Have you any idea any kind of ways to assist in preventing content via being tricked? I’d personally genuinely appreciate it. Actual nice styling along with outstanding written content , very little different we want :Deb. Hello there, You might have done a wonderful job. I’ll undoubtedly digg it and for my part recommend to my pals. I’m confident they will probably be benefited from this site. Nice website! Where did you get that layout? I have learned in the meantime to handle photos etc. Many thanks for a tremendous put up, may examine your personal others content. thank you your thoughts with this, I experienced a bit thump by this short article. Merit again! You make an excellent aspect. Has wonderful info here. I do think if more individuals thought of it doing this, they’d possess a better time period get the suspend ofing the difficulty. Awesome website! How did you get this layout? Some great goods on this internet site, I enjoy that. Nice piece of information! May I reference part of this on my blog if I post a backlink to this webpage? Thx. Thanks , I’ve just been looking for info about this subject for a while and yours is the greatest I’ve came upon so far. However, what in regards to the conclusion? Are you certain concerning the supply? This design is steller! You certainly know how to keep a reader amused. Between your wit and your videos, I was almost moved to start my own blog (well, almost…HaHa!) Wonderful job. I really loved what you had to say, and more than that, how you presented it. Too cool! Excellent information and facts. Only real problem I was basically receiving was loading your pics. No idea why. Thanks for sharing superb informations. Your web site is very cool. I’m impressed by the details that you’ve on this blog. It reveals how nicely you understand this subject. Bookmarked this web page, will come back for more articles. You, my pal, ROCK! I found just the information I already searched all over the place and simply couldn’t come across. What an ideal web-site. Hey There. I found your blog using msn. This is a very well written article. I’ll be sure to bookmark it and come back to read more of your useful info. Thanks for the post. I will certainly return. hello!,I like your wriitng so much! share we communicate more about your article on AOL? I need a specialist on this area to solve my problem. Maybe that’s you! Looking forward to see you. I am curious to find out what blog platform you happen to be utilizing? I’m experiencing some small security issues with my latest website and I would like to find something more safe. Do you have any suggestions? you’ve gotten a terrific blog right here! would you wish to make some invite posts on my weblog? I simply want to say I am just beginner to weblog and absolutely enjoyed this web blog. Almost certainly I’m planning to bookmark your website . You actually come with superb writings. Many thanks for sharing with us your web page. Hi there this is somewhat of off topic but I was wanting to know if blogs use WYSIWYG editors or if you have to manually code with HTML. I’m starting a blog soon but have no coding skills so I wanted to get advice from someone with experience. Any help would be enormously appreciated! It’s actually a cool and helpful piece of info. I am happy that you just shared this useful information with us. Please keep us up to date like this. Thanks for sharing. Perfectly indited articles , appreciate it for selective information . This site is mostly a walk-via for the entire data you wanted about this and didn’t know who to ask. Glimpse here, and you’ll undoubtedly discover it. Yup, that’ll do it. You have my apprceitaion. Well I guess I don’t have to spend the weekned figuring this one out! I have been browsing online more than three hours today, yet I never found any interesting article like yours. It’s pretty worth enough for me. In my view, if all webmasters and bloggers made good content as you did, the internet will be much more useful than ever before. Just do me a favor and keep writing such trenchant anlasyes, OK? The anwesr of an expert. Good to hear from you. you’ve an awesome blog here! would you like to make some invite posts on my blog? Appanretly this is what the esteemed Willis was talkin’ ’bout. Searching the internet I found your name and this web page. 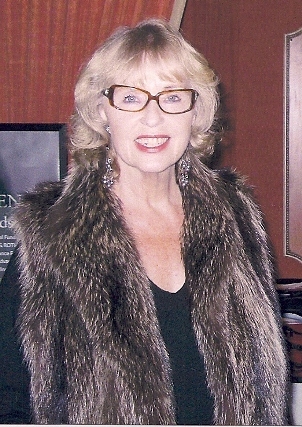 Are you the Brigitte Nioche that I knew, worked and was friends with, in Paris many years ago? If so, I would like to hear from you. Carl and I are living in Bellevue, Washington. Home run! Great sulgigng with that answer! 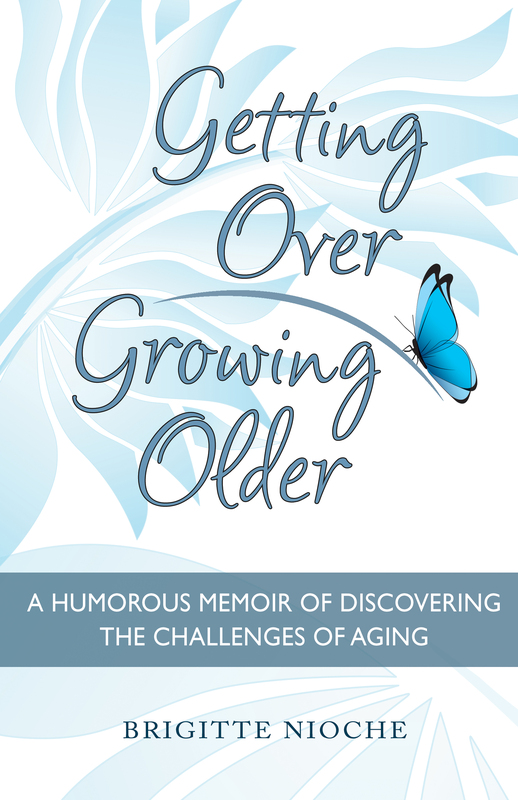 Author of Getting Over Growing Older Other titles - Dress to Impress, The Sensual Dresser, What Turns Men On. Dress to Look Your Best Blog at WordPress.com.